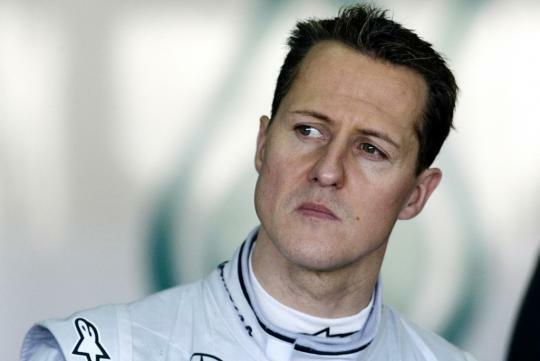 The man suspected of attempting to sell Michael Schumacher's medical records to the media has been found hanging dead in his Swiss jail cell. There was no indication that anyone else was involved, according to officials, and the man's name hasn't been released. The case began when Schumi's records from his time recovering from his head injury at a hospital in Grenoble, France, were being offered to some media outlets for 60,000 Swiss francs (around $67,150 at the time). The documents reportedly included over a dozen pages summarizing the former Formula One champ's condition. French police opened an investigation and tracked the IP address from the emails to the helicopter company that transported Schumacher to his new hospital in Switzerland. The business had received a copy of the report when it moved him. The Swiss police took over the case from there. According to Fox Sports, this suspect was arrested on August 5. While he denied accusations of the theft, the investigators wanted to question him further. This man was the only suspect in the crime, and with his death, the prosecutors may close the case. Schumacher finally emerged from his months-long coma and was transported to the Swiss hospital in June. Since then, his family has been private about his condition. I feel sad for the dead man. He must already be at the end of his line to try to sell confidential info. His arrest made it worse and he sought quick release via suicide. So sad to hear that this person accused and facing charges has died.